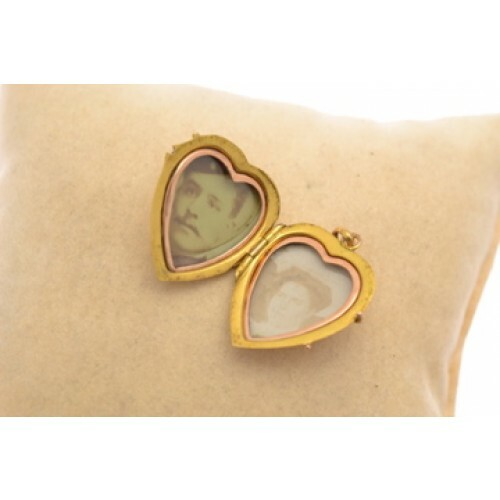 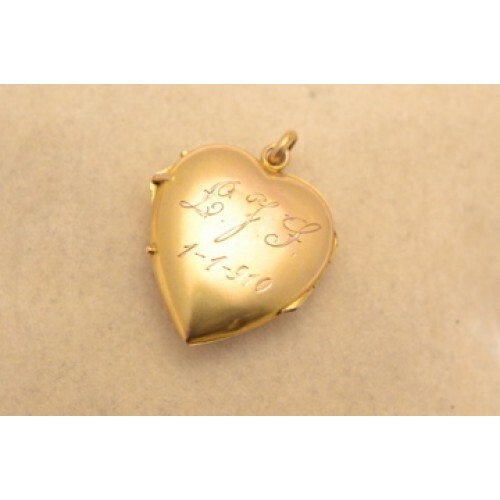 Antique gold stone set heart locket. Antique gold heart shaped locket set with ten seed pearls, two small rubies and a peridot in a floral motif. 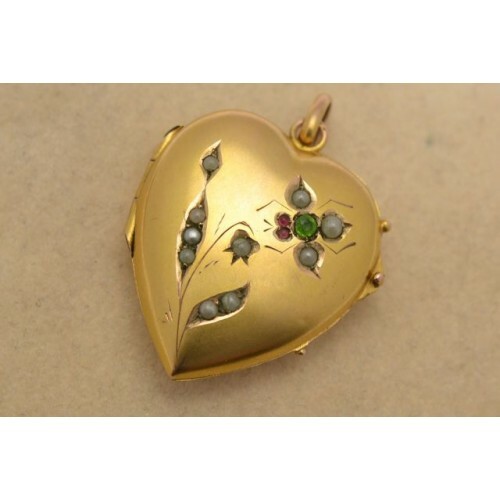 A very pretty locket, with a very keen price as the back of the locket is engraved with initials and date (1910).